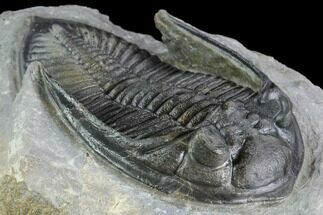 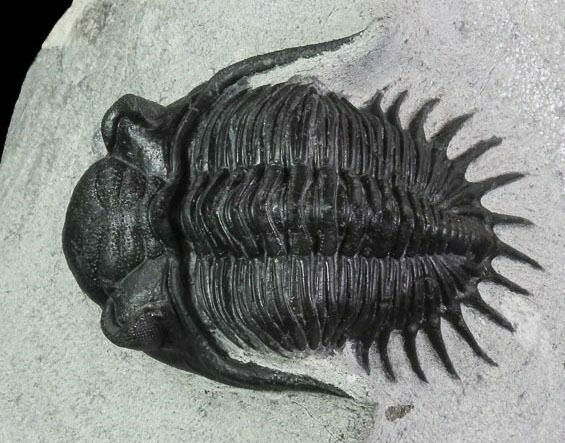 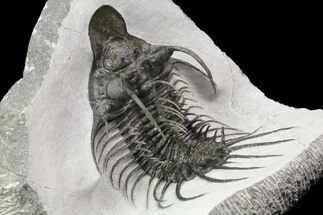 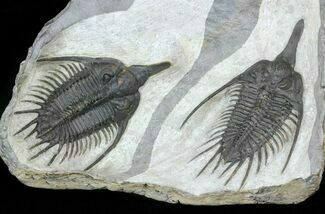 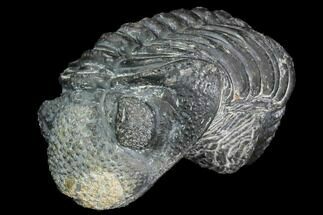 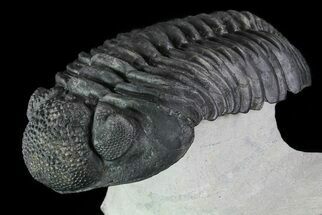 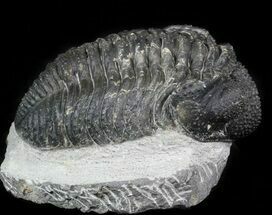 This is a detailed 1.8" long Kayserops trilobite collected at Jebel Issoumour, Morocco. 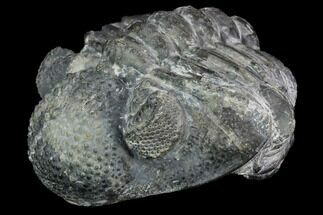 This is a nice specimen of an uncommon species. 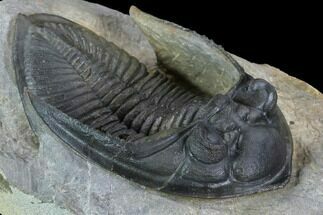 It's nicely prepared with clear eye facets in both eyes and the only restoration is some touchups along the repaired cracks.